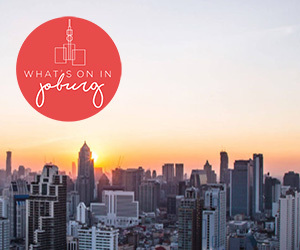 Born in Orlando West, Soweto, Sibongile grew up with a music professor as a father. She was introduced to a wide range of musical genres throughout her childhood from choral to a range of indigenous music and western classical genres. Sibongile has inherited her father’s love for music and profound belief that music is a shared and universal form of expression. She earned her BA in Music from the University of Zululand and an Honours Degree in the History of Music from the University of the Witwatersrand. Recognition: She became well-known though her performance of The Three Faces of Sibongile Khumalo, a sell-out show in which she showcased her talents in jazz, South African indigenous music and opera. Her career has been extensive since then, as she has performed with numerous acts such as the Brodsky Quartet, Oumou Sangare, Sally Nyolo (formerly of Zap Mama) and Hanitra Rasoanaivo from the group Tarika, in a collaboration known as”Women of Afrika”. She has also toured with Hugh Masekela in South Africa and the USA performing songs such as the hugely successful “Songs of Migration”. She took part in the ‘Intercontinental’ tour with Jack Dejohnette, Danilo Perez, Jerome Harris, Byron Wallen and Jason Yarde and performed a special commission by Jason Yarde at the Bath International Music Festival titled ‘Reflections in Reverence and Remembrance’, which also showcased at the National Arts Festival in Grahamstown. Sibongile has also collaborated with opera singers such as sopranos Aviva Pelham and Virginia Davids in 1999 for a series of concerts entitled ‘Divine Divas’. Apart from the vast number of collaborations, Khumalo has also sung in world famous venues including; the Artscape Opera Stage in Cape Town and the State Theatre Opera House in Pretoria in leading roles such as Carmen, Amneris in Aida and Azucena in Il Trovatore. She sang at Den Norske Opera in Oslo as the role of Azucena as well as the Royal Albert Hall, the Royal Festival Hall, the Barbican Centre, the Kennedy Centre, Washington DC, the HetMuzik Theater, Amsterdam, and at the Ravinia Festival in Chicago. Her oratorio work includes Handel’s Messiah, Mendelssohn’s Elijah, both the Verdi and Mozart Requiems, and Mzilikazi Khumalo’s Zulu epic uShaka ka Senzangakhona. Sibongile’s work has not always been limited to singing as she has spent a large amount of her time developing her skills as a producer. She founded her independent record label, Magnolia Vision Records in 2007, securing a place for more young and talented South African singers to produce their work. 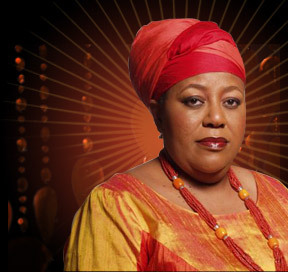 In 2006, she directed the ‘African Soul Sisters’ concert, as part of the Standard Bank Joy for Jazz in Johannesburg, In October of that year, she was musical director for ‘Soul on Turf’ at Sun City and, in November, created and directed the 30th Anniversary Celebrations for the Khongisa Academy for the Performing Arts in Kwa-Dlangezwa, KZN. The Khongisa Academy for the Performing Arts was founded by her late father Khabi Mngoma and she continues to be involved with the academy. With all of this experience she was also given the honour of attending and performing at Nelson Mandela’s 75th Birthday and 1994 Inauguration as well as leading the South African and New Zealand National anthems at the world cup rugby finals in 1995.